Kent College Canterbury is certified as one of the top 50 UK Independent schools for the percentage of pupils achieving A*- B grades at A Level. In Kent the school is rated in the top 10 for its A level results. The Sixth Form at Kent College offers students an environment that enables them to achieve their best possible grades. Teachers' expectations of pupils are high, but all are aware of the need to support those for whom A-level work is a challenge, and staff are always willing to offer one-to-one help. Working conditions are therefore disciplined but flexible, and students are encouraged to organise their own learning as far as possible. 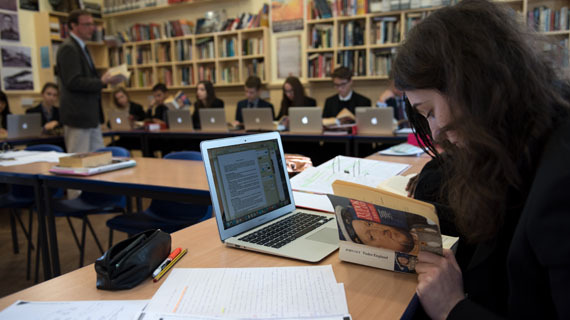 We offer a traditional suite of academic A-levels but also a broad range of other options including Applied courses and OCR Nationals. 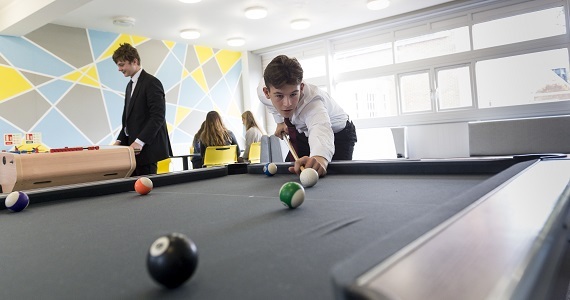 The Sixth Form Centre offers each day-pupil a permanent base for study and facilities include a common room. Boarders in Year 13 may work in their own study bedrooms. The well-stocked library is available for those wishing to consult reference material. Those who find independent work difficult, may also be asked to attend supervised study periods. All students are issued with a MacBook laptop computer for their studies and research.